Henderson and Carroll doing the North East Proud! – Move. Run. Sports. Henderson and Carroll doing the North East Proud! 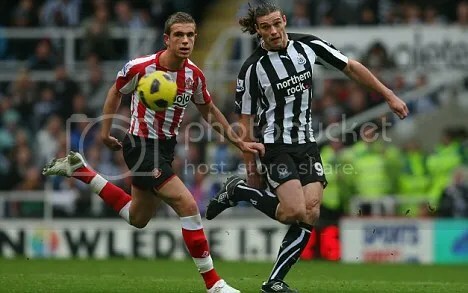 It’s been a long time since Newcastle and Sunderland both had player’s in the England squad let alone team. 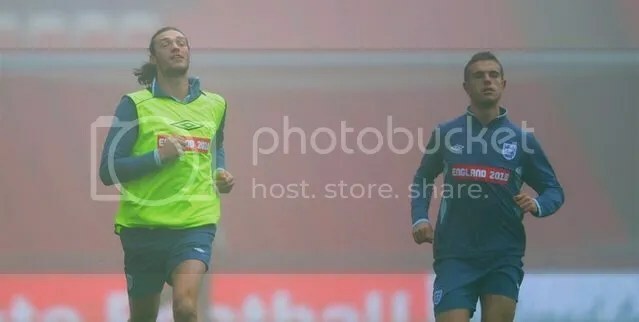 But that changed this week when Andy Carroll and Jordan Henderson both were called up to the full squad for the first time. They have both represented their country at youth levels and have had brilliant starts to the premiership season being key players for their respected hometown clubs. I really do think it’s just fantastic for the North East as both players have been brought through the academy set up and really come on so much in the past couple of seasons. They are now seen as key players at the age of 21 and 20, again something which is very rarely seen in football these days. It does show that the academy process can work and youngsters can get to the first team and at the very top-level. International level included now. The North East often seems to be left out when it comes to England, so to see two very good players being propelled onto the international stage is very exciting. Both Jordan and Andy have recently been linked with big money moves away from Sunderland and Newcastle and for the sake of both clubs I would hate to see either of them leave. They play with extra pride and passion, they bleed the colours of their clubs. They watched as young boys from the stands and now play in front of those fans they once sat with. It would be such a shame to see them leave! Let’s hope that the clubs can manage to hang onto them, but we know how football is now when money is thrown around. I really am looking forward to seeing the young North East pair line up alongside each other for England tomorrow and I am sure they will so what they can do on the big stage that is Wembley! ‹ PreviousWhy Sunderland beating Chelsea is great for football!